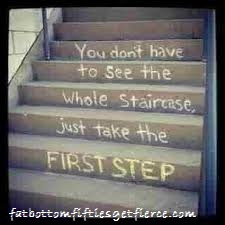 Goals play a major role on the journey to getting fierce. Planning them, setting them, realizing them. Studies show that you are more likely to accomplish your goal if you write it down. And to boost your chance of success further, tell someone else about the goal for built-in accountability. 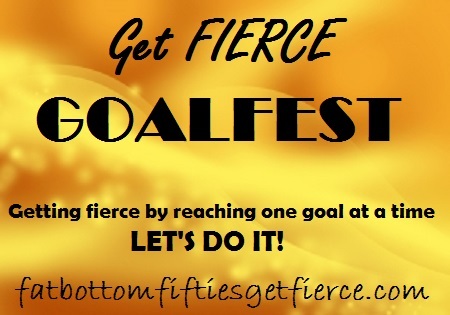 In order to help us get more intentional about reaching our goals, we are starting PROJECT GOALFEST. The first Monday of every month we’ll each set a goal for the month and record it here. Whether it’s trying something new, exercising more, cutting an unhealthy food from your diet, adding a healthy food to your diet, connecting with a neglected friend, meeting a writing word count, organizing a closet, or anything else you want to achieve, set your goal. We’ll help you get there by encouraging you, cheering you on and providing a source of accountability. And to make it just a little more fun, on GoalFest days we’ll have a random drawing from the names of those of you who have met your goal for the previous month. The winner will be sent a small just-as-random prize to celebrate the accomplishment! I can be a bit like a kid in a candy shop when it comes to starting new projects – I want to start them all. Problem is, I don’t always want to finish them all. The pile of ‘must have’ yarns and closet organizers and menu sorters is quite impressive as you walk through my house. My OCTOBER GOAL: Complete the aghan I started for my daughter many, many years ago AND tackle one pile of torn out recipes from magazines and file them accordingly. My bike hasn’t made it out of the garage in 3 years. For the past two, I planned to take it to a bike shop to get it new tires and the attention it needs to hit the road again. It’s time to convert that plan into action. OCTOBER GOAL: Find a bike repair shop, take the bike in for service, and log 20 miles on it by the end of the month. Head toward FIERCE with us! Declare your October goal in the comment section below. We’ll be checking in with you from time to time.